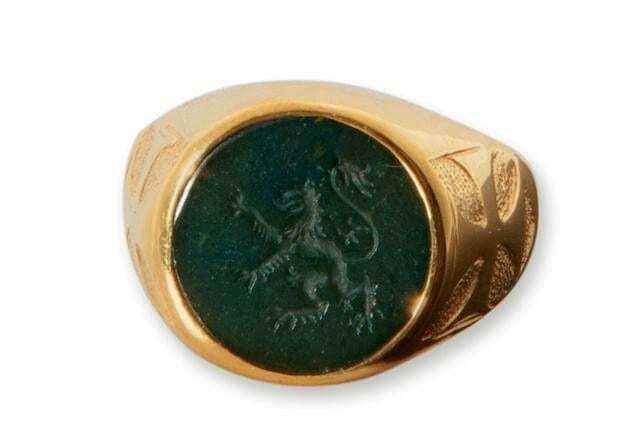 HIGH QUALITY BLOODSTONE RING ENGRAVED WITH HERALDIC LION RAMPANT AND TEMPLAR CROSS SHOULDER EMBELLISHMENTS. 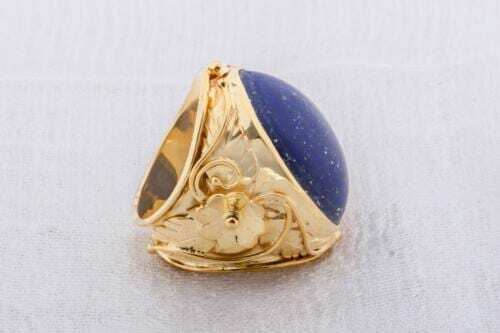 Gold plated (5 Microns 18K Gold) sterling silver and genuine high quality natural bloodstone, and genuine gemstone Regnas ring. 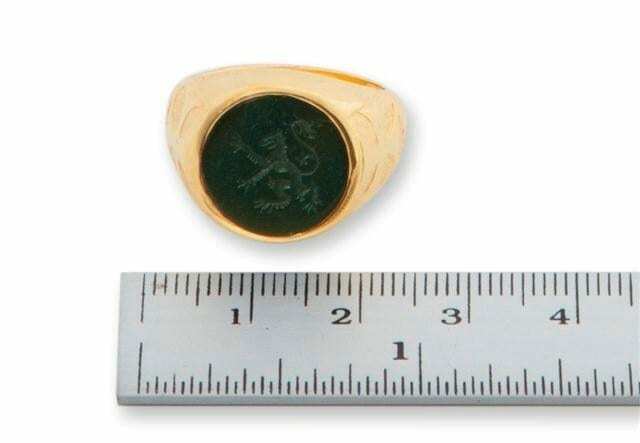 This roundel measures 14 mm diameter (9/16th Inch). 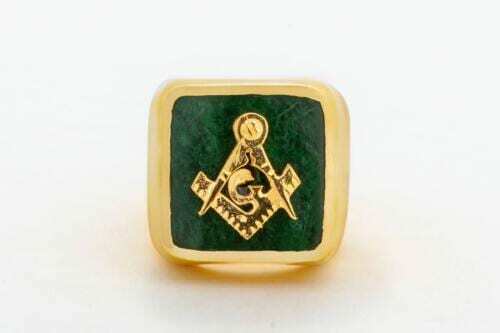 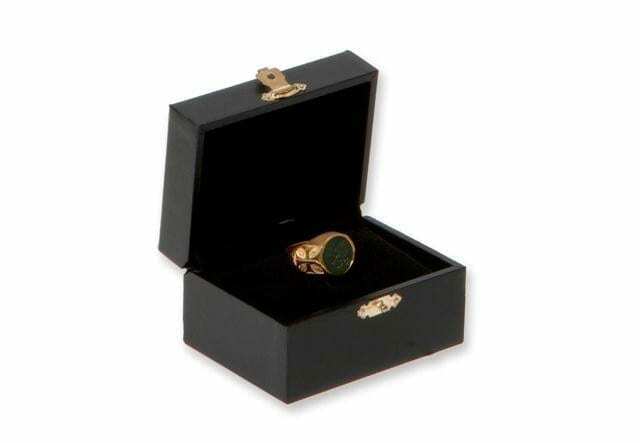 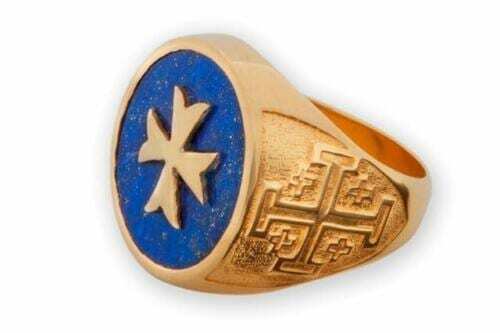 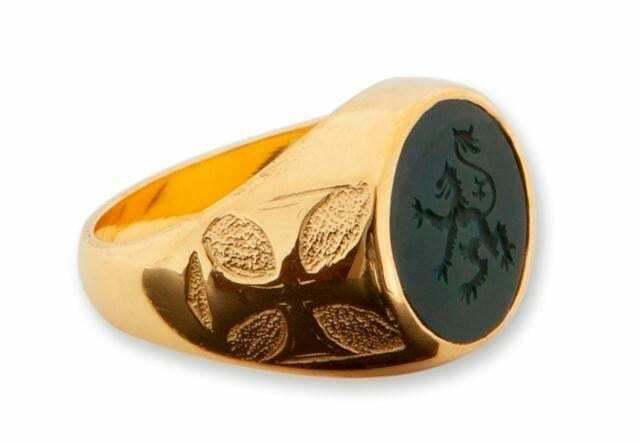 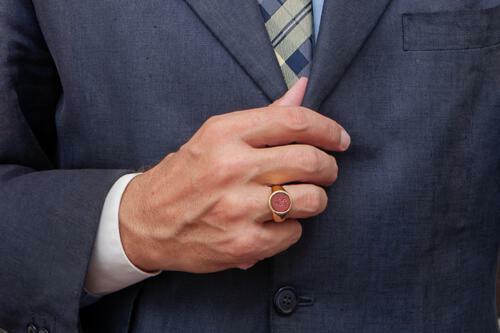 This is one of our new smaller traditional Heraldic style and very smart man’s rings.